Android Wear is naturally more limited than regular builds of Android, but some of the omissions just don't make sense. No battery monitor, Google? Really? 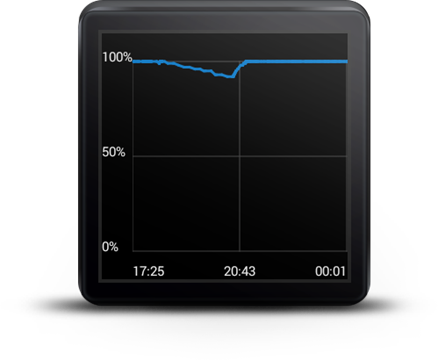 Well, there's finally an app that fills in some of the gaps, and it's called Wear Battery Monitor. That's a descriptive, if predictable name. The app can be opened on the watch to get a battery percent graph over time with a maximum of 24 hours of data. 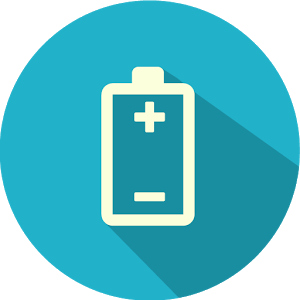 The phone app can also be used to explore your battery performance, but it will only sync with the watch when you open it as a way to save power. It's a nice app to have, but it's still pretty basic (it is apparently still an alpha). 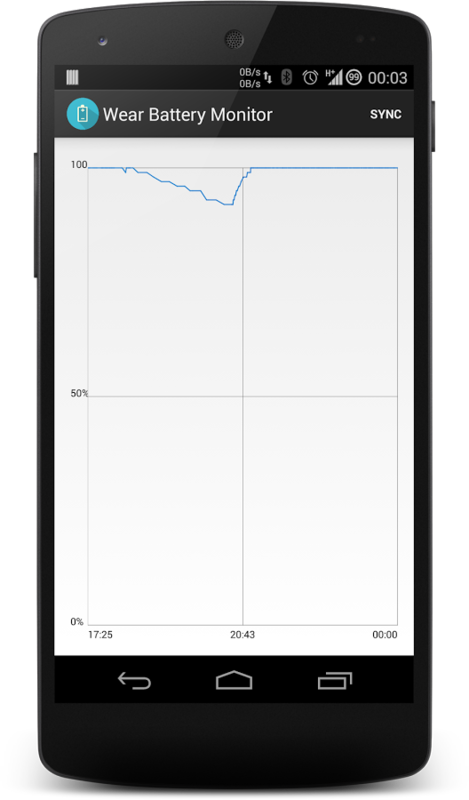 There is no percent readout on the graph, just what you can estimate from the Y axis. It doesn't include process stats either. Maybe you don't need those things, I don't know. At any rate, the developer promises to add new features soon like longer history and charging info.